Played with some of the new make up today, though Loss made me feel so beautiful that I didn’t need any at all. Surprises are the best! I was surprised this weekend with a make up haul I didn’t even expect. We spent the night with my parents and heading across town, Loss and I stopped by Ulat (aka my candy store). I was on the hunt for one or two things (a not crazy priced fan brush, by the way), so I went over the Ulta Beauty brand section to see what deals they had going on. I was stoked to find a buy 2, get 2 free on the products and after a few minutes (and no Unicorn Highlighter in stock), I landed on the Customizable Eyeshadow Palette and 3 different Eyeshadow Singles in Under the Sea, Beauty Junkie and Peek-A-Boo (don’t you love the Little Mermaid reference for the gorgeous green color?). 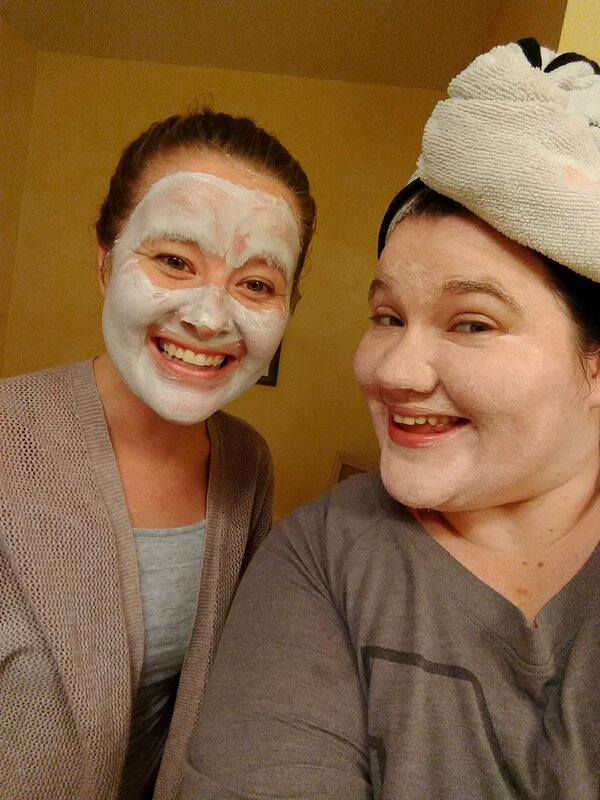 I never called myself a beauty blogger because of photos like this. 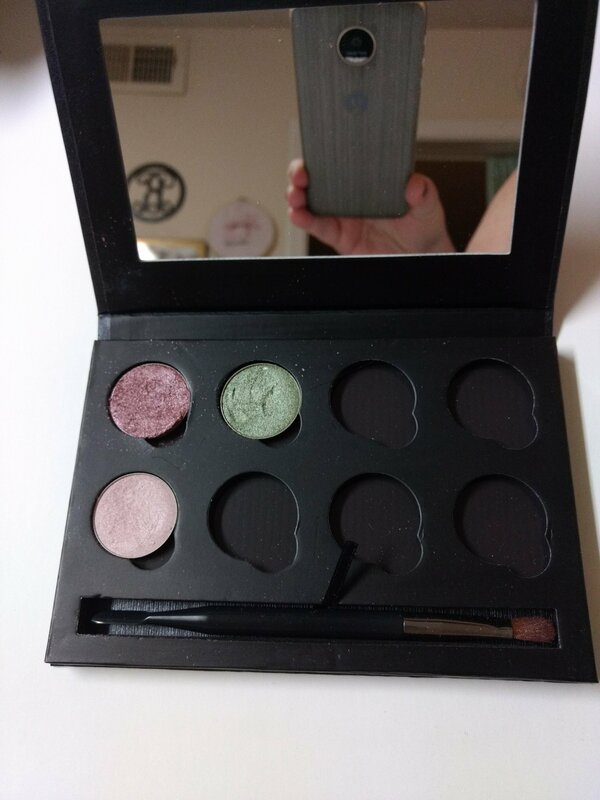 Once I got it home, it was super easy to de-pot the shadows with the brush/depotting tool combo that came with the palette and I was stoked to see the shadow had a magnet in the bottom and would be super easy to pop back into the original container. I can’t wait to get some more shades and fill it up the rest of the palette! Once we got to my parent’s house, I was given my belated birthday gift from them. I’d planted a bug in my mom’s ear about some Clinique moisturizer and the freebie Jonathan Adler being all I really wanted. I hadn’t seen the ‘rents for a few weeks and had figured I wouldn’t even worry about the items, but I was surprised! My mom had picked me up a full face kit (soap, toner and moisturizer) along with travel sizes of each, plus the freebie bag and those goodies. I was so excited I almost cried. My mom got me hooked on Clinique in my teenage years and the moisturizer is a product that I will swear by forever. I pointed out that I got the gift we normally buy for my mom at Christmas and I have to say, I’m glad to be like her. Oh the beautiful Clinique freebie! My lovely sister in law, Jacque, and brother are moving and she happened to bring her make up over to go through and thin out. She passed along quite a bit of it to me including a bunch of brushes, Ipsy cast offs and some Bare Minerals goodies. Needless to say, I was pretty stoked to play with some of the new stuff this morning. I can’t wait to dive in even more to all these new goodies- what are your favorite make up essentials? Let me know in the comments!